This summer is turning out to be the longest ever for my simple living family. We are traveling through Europe, meeting friends and family. The best part is that as usual we are accompanied by our rabbit named Muffin whom you've shortly met here and here. Muffin Rabbit is quite the adventurer, very much like all members of my family. In the 4 years of his life he's been an inseparable part of our journeying crew. He has used all kinds of transport but until May of this year he had never ever flown by plain. Well, today I'd like you to meet the flying rabbit comfortably settled in a lovely traveling cat cage all packed up with hay, oats and soft bedding. He's checked in and already boarding! Tune in again next Saturday to read more about Muffin, the simple living rabbit. 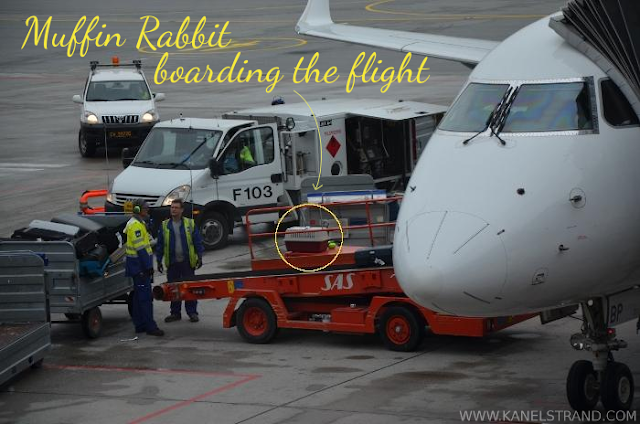 The second image made me laugh :) Go Muffin Rabbit! 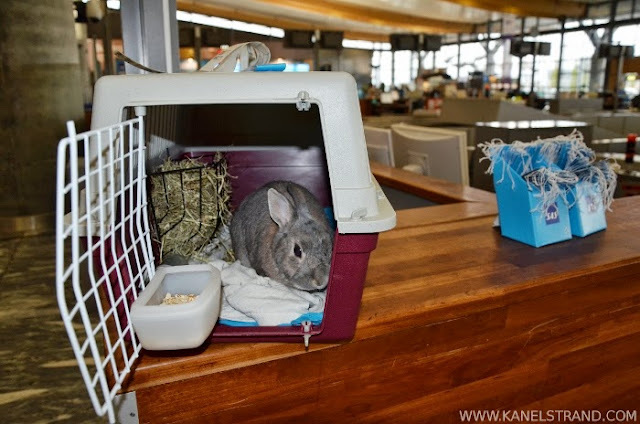 Oh, that's so sweet that your bunny is traveling with your family! Muffin must be quite the cosmopolitan rabbit! Thanks for sharing your blog on my FB page (And Here We Are...)-- it's nice to "meet" you here.